Robert Park was global news following his captivity in North Korea. But can everything reported be believed? Few doubt his sincerity: As a campaigner for human rights in North Korea, he has taken the fight to what would appear to be some of the most extreme limits – and at what would seem to be an enormous cost on a personal level. 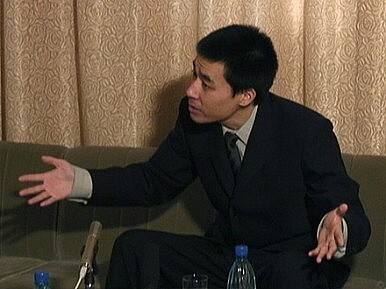 Yet while critics cast doubt on some of the methods he has employed to amplify his message, Korean-American activist Robert Park has recently identified a rather unusual bearer of bad tidings: a news report purporting to detail – in Park's own words – the alleged sexual torture he endured while held captive in North Korea early in 2010. Park, a devout Christian from Tucson, Arizona, gained international repute when on Christmas Day 2009 he crossed the Tumen River, which marks the Chinese-North Korean border, into North Korea with a message for the country’s now deceased dictator Kim Jong-il. When he entered the country, he was carrying a letter for the Dear Leader begging him to free the reputed hundreds of thousands of political prisoners languishing in what’s believed to be a substantial North Korean gulag system, and hoped to confront Kim on his country’s dismal human rights record. The Yonhap report, released on February 8, described how Park had sobbed during an interview it said it had conducted with him. The news agency quoted him detailing in intimate detail the alleged sexual torture he is widely reported as having suffered at the hands of the North Korean regime. Since his release from North Korea nearly two years ago after what he says was a forced confession of his guilt, Park has spent time in mental health hospitals and according to some reports still suffers from post-traumatic stress disorder related to his time in North Korean custody. He gave a rare face-to-face interview in Seoul in late 2010 for a story published January 14, 2011 in The Diplomat after returning to the South. During the exchange, he appeared – and admitted – to still being in a state of recovery from what happened to him while in the North. He later left South Korea and checked himself back into hospital. But despite repeated allusions to suspected sexual torture incurred by Park at the hands of the North appearing across the media, Park hasn’t yet publicly spoken of what happened to him during his time in the North’s custody, he says. Park is demanding a retraction. The Diplomat contacted Yonhap to ascertain how the story – later carried by newspapers that subscribe to the agency’s wire service – was formulated, but at the time of going to press we had yet to receive a response. For his part, Park said he has been “neither confirming nor denying what took place” when he was in North Korean custody. At the moment, Park is preparing to a file a lawsuit against North Korea in a U.S. federal court, seeking to press charges “for acts of torture they committed in violation of international laws and principles.” He wants to highlight the “corruption” and “exploitation” behind the article, he says, because the true version of what happened to him in the North is “different in several respects.” He believes the “fabricated” story circulated may harm his case. In a statement released to the press in late January, Park drew reference to the damages award made to three members of the USS Pueblo in 2009 by a U.S. court for the pain and suffering they endured during 11 months in North Korean captivity 45 years ago. Bryan Kay is a freelance journalist who covers the Koreas for the Christian Science Monitor and the Sunday Herald in Scotland. He has also written for the Independent on Sunday, the New Statesman and the International Herald Tribune.